Consumer Guide’s test Rogue arrived with AWD and in SL trim. 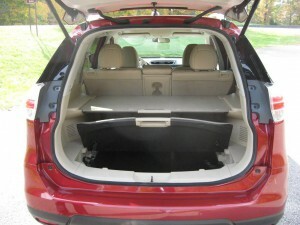 With options our test vehicle came to $32,395. 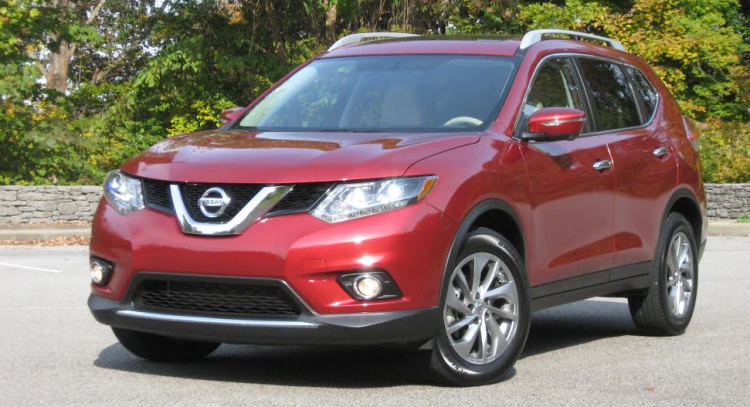 If you don’t hold the Nissan Rogue’s screwy advertising against it (in which it gets through traffic like nobody’s business, but only if it can hop atop a moving commuter train first), it looks to be about as good of a compact sport-utility vehicle as an owner could hope to have. Pleasing power delivery complements a roomy and—in top-level SL guise—fairly plush cabin. Convenience features abound and there’s a configurable cargo space in back. Cost for all of this is extremely manageable, too. Rogue leaps from back of the pack to become one of the class leaders in interior design and materials quality. Five passengers will find excellent seating space and comfort on the Rogue SL’s supportive leather-clad seats—and all five of them can be adults, thanks to a fairly broad rear seat. (There’s a slightly raised driveline tunnel in the floor, but it can be worked around.) Entry and exit are uncomplicated. Visibility to the back and sides is good, and our test example availed itself of the SL Premium Package option that added electronic safety features including blind-spot warning, lane-departure warning, forward-collision warning, and moving-object detection. Passengers are further served by a large glove box, a moderately sized console cubby with an electric power point within, two open console cup holders, and a couple of shallow bins, including one under the dash with a USB port and another power plug-in. Rear passengers have pouches in the seat backs ahead of them, plus a pull-down center arm rest with two cup holders molded in. (The folding 40/20/40 seats also have a 60/40 fore-aft adjustment.) All four doors have pockets with bottle holders in them. Our test car was brightly turned out in tan upholstery, with black on the tops of the dash and doors. Metallic panels on the dash and doors added a little sparkle. The lower dash panel was hard plastic that was nonetheless nicely grained to harmonize with the look of the other materials. Big gauges greet the driver. Climate controls were easy to reach and use, as were audio settings accessed through the 7-inch color touchscreen that also served the standard navigation system. 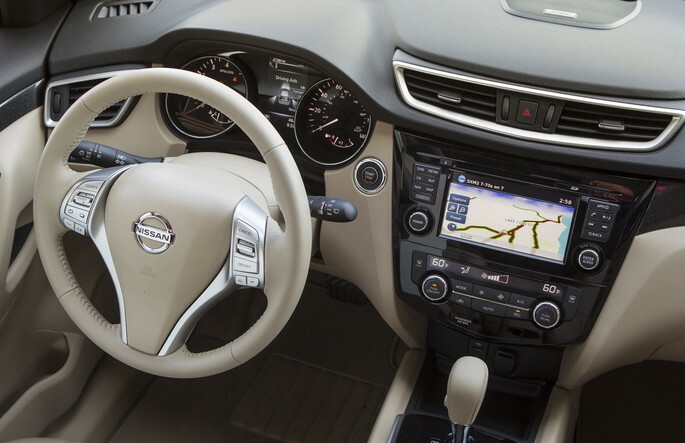 In addition to the voice-command-capable nav system, the included NissanConnect infotainment set-up includes satellite radio and traffic information, and an app suite. Bluetooth hands-free phone and text-messaging capability is standard in all Rogues. Despite a somewhat high liftover, Rogue’s large cargo area should serve most owners well. All Rogues come with a 170-horsepower 2.5-liter twin-camshaft 4-cylinder engine and continuously variable automatic transmission. This pairing delivers lively around-town performance and good enough midrange jump to make highway merging and passing undramatic. Except when pushed hard, the engine is generally smooth and quiet, and even when roused it is not especially noisy as it seeks cruising mode. The only obvious demerit this tester could pin on the Rogue was for its fuel economy. All-wheel-drive models are EPA rated at 25 mpg in the city and 32 on the highway (front-drivers add another mpg in both categories), but I averaged just 22.31 mpg during a 161.7-mile run with 64 percent city driving. Steering is light and handling is nimble, with moderate cornering lean. A well-damped suspension kept the ride fairly serene. Braking was prompt and easily modulated. Regardless of drive arrangement, Rogues come with hill-start assist, and all-wheel models add descent control. By the time you get to SL territory, a Rogue comes nicely equipped at $29,420 for an all-wheel-drive version. The one in this test topped out at $32,395 delivered. 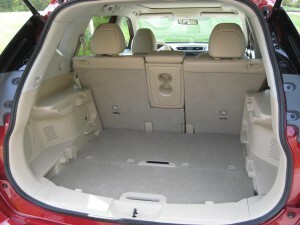 Options were confined to the aforementioned premium package ($1990) with the electronic safety features, LED headlights, and panoramic sunroof; and a set of floor mats ($125). There’s a fair amount of space in Rogue’s under-floor cargo bin. Written by: The Daily Drive staff on June 13, 2014.on March 22, 2019.